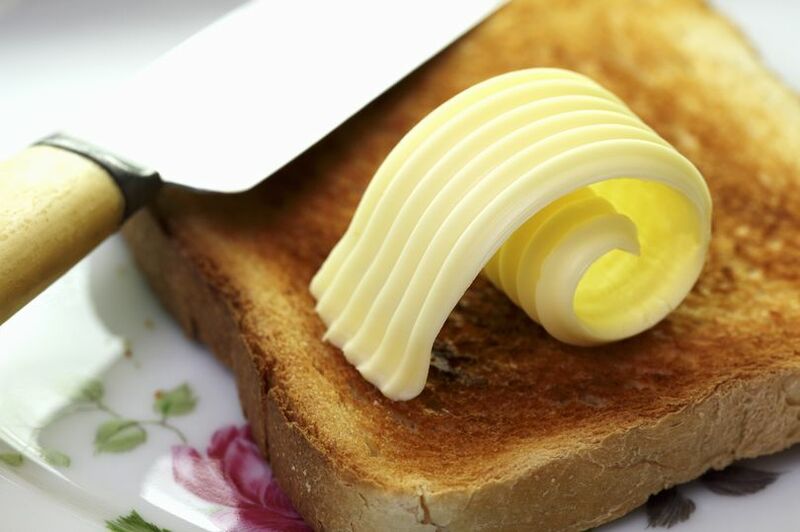 Should you be putting butter on your toast or margarine? Or, put another way, should you have saturated fat on your toast or not? The controversy has been ­raging for years, but we’re no nearer to a simple guideline. No study has successfully shown changing to a low total fat or low ­saturated fat diet can reduce heart disease or mortality – and large trials using high fat, nuts and olive oil have shown the opposite. Another problem is deciding what practical advice to give people when many foods considered healthy do contain fats. The recommendation is foods with saturated fats should be replaced with either starchy foods or unsaturated fats. This means, for example, swapping butter for low-fat spreads. But it’s not possible to have a simple message applicable to everybody – such as “reduce all saturated fats”. That ignores the complexity and quality of foods and individual food choices – and it neglects personal ­variation. There’s no such person as a standard human being. We’re more individual in our food responses than most of us believe. A recent large trial found an equal number lost weight on both a low-fat/high-carb diet and a low-carb and high-fat diet. So one size doesn’t fit all. We now realise food isn’t simply about groups like proteins, carbs, fats, nor calories. We’re beginning to acknowledge the hundreds of chemicals in food that interact with each other and our bodies and our trillions of gut microbes — which are unique for each of us. Furthermore, studies show eating butter containing saturated fat doesn’t cause harm. Telling people to eat low saturated fat spreads instead of dairy may force them to consume highly processed foods with multiple additives we know little about. Some high-quality ­vegetable-based spreads with minimal processing may actually be healthy, but if people are confused they won’t eat them. We won’t get anywhere demonising one major food group or type of dietary fat. Foods contain a wide range of fats in varying proportions, and the different fatty acids never exist in isolation, meaning fats in food can have good and bad effects. We’ve been through so many ­theories each thrown out and ­overtaken by a new one. At one time we believed cholesterol in food caused heart disease. Wrong. Then the amount of fat in your diet. Wrong. Then how much saturated fat you eat. Wrong. No doubt there will be more theories and we should welcome them. Outdated guidelines benefit no one.